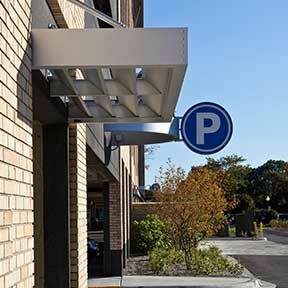 Whatever your downtown destination, a parking space is conveniently available. Two, three, four, and ten hour metered spaces along the streets and in designated lots make visiting the downtown and waterfront areas hassle free. Parking meters are enforceable Monday through Saturday, 8 AM to 6 PM with exception to holidays (New Year's Day, Memorial Day, 4th of July, Labor Day, Veterans Day, Thanksgiving Day, and Christmas Day). Whether you are shopping, dining, playing at the beach, or enjoying the beautiful scenery of our downtown area, you will find informative blue, white, and yellow signs to help you make the most of your visit. We hope you enjoy your experience in beautiful Downtown Traverse City. Please come and visit us soon! 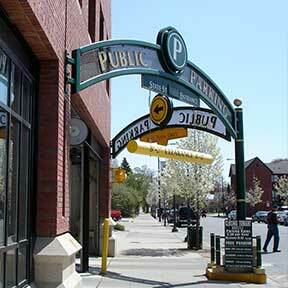 For a current map of available downtown employee and long-term parking, click here. Rates: $1.00 per hour, daily maximum of $10.00. Overnight parking available - please notify attendant. Located at 125 East Eighth Street. Winner of the 2011 Historic Preservation Award. This location is fully automated. 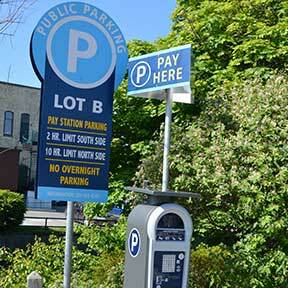 Parking Services can be reached by intercom or phone. 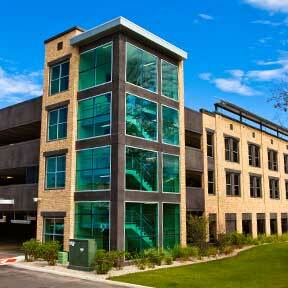 The ground floor is ungated and open 24 hours a day, seven days a week. Payment is made at one of the two pay stations 8:00AM-6:00PM Monday-Saturday. Overnight parking is free of charge on the ground level.